Northern Lanes is a family owned and operated fun center. The Goergens' are pleased to offer a SMOKE-FREE environment for you and your family. Whether you're joining us for league, open bowl or a party, our staff is here to ensure fun for everyone. We also have our COOL Glow Bowling - that we call Northern Lights - where you bowl with the lights down and great music turned up! It looks like a nightclub! 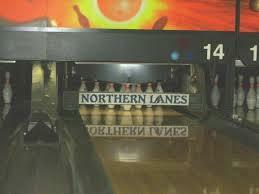 When looking for family fun in Sanford, look no further than Northern Lanes. League bowling for all ages and abilities is available, along with great youth programs and beach volleyball too.